Engineers and archaeologists have successfully raised a 600 year old sailing cog from the depths of the Ijssel River in the Netherlands. The 55 ton vessel, along with a barge and punt, had been deliberately sunk to alter the flow of the river to make it more navigable and easier for ships to dock on the Ijssel’s banks. Then, as now, maritime trade was essential to the Dutch economy and any impediments to riverine traffic directly affected the economic well-being of the area’s inhabitants. As such, medieval maritime engineers devised a plan to divert the flow of silt from the river’s banks making docking along the bank easier. The engineers strategically sank the cog, barge and punt to achieve their goal. The river quickly silted up over the vessels which created the anaerobic environment essential to the state of preservation they are currently in. The vessels were rediscovered in 2012 and a lifting platform was built to raise the vessel from the seabed. As is the case with many scuttled vessels, the cog had been stripped of all items of value, however, archaeologists hope to study the techniques in the construction of the vessel. Now begins the lengthy preservation process which involves slowly removing salt from the vessel’s timbers and eventually drying it out. If successful, then the vessel would be a smaller version of England’s Mary Rose or Sweden’s Vasa. UPDATE 3/27/14 The Aland regional government has been reprimanded by the Deputy Chancellor of Justice for the sale of champagne in 2011 and 2012. The sale occurred before the government received a permit from the National Board of Antiquities. Although the permit had been applied for, it had not yet been granted. Additionally, the export licenses required for the sale are governed by the very authorities who conducted the sale and pocketed the proceeds. The Deputy Chancellor of Justice is alleging this dual role violates both national and EU law on the export of cultural artifacts. 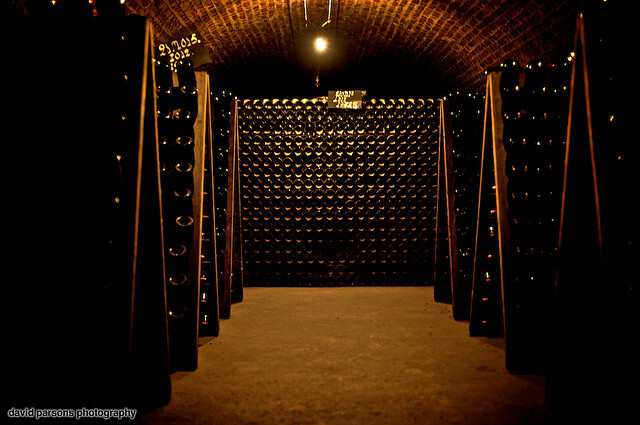 According to the German publication Deutsche Welle, another 8 bottles from a 168 bottle collection of champagne are set to go under the auctioneers hammer. The champagne was discovered two years ago by diver and (ironically enough) brewery owner Christian Ekström. Ekström was exploring a wrecked schooner off the coast of the Åland Islands when he came upon the bottles at the site. Researchers believe the schooner sank in the 1840s making Ekström’s find the oldest champagne ever found. Now, two years after the discovery, 10 of the bottles have been sold at auction with one, a Veuve Clicquot, selling for a record breaking $26,700. Authorities on the Åland Islands plan to hold auctions of the champagne over the next few years as a method of bringing tourists to the area. Ekström’s find isn’t the first fermented treasure trove found in the Baltic as there have been both beer and other champagne caches discovered in recent years. The discovery and re-creation of Antarctic explorer Sir Ernest Shackleton’s whiskey, though, is still perhap the most noteworthy alcoholic find of the past few years. UPDATE 3/12/13 – The Star Phoenix released a story yesterday concerning recent archaeological work performed on the SS City of Medicine Hat which sank under mysterious circumstances on June 7, 1908. The lead archaeologist on the project, Butch Amundson, now believes that the steamer was wrecked on purpose. This is due to a surprising lack of personal effects on the wreck and the removal of expensive items such as its 6-foot tall brass music box just prior to the ship’s sinking. PREVIOUS POST – The Star Phoenix reported earlier last week that more than 1,000 artifacts have been recovered from what is believed to the wreck of the SS City of Medicine Hat. Designed and built by the wealthy and eccentric Scottish nobleman Horatio Hamilton Ross, the ship was intended to operate as an inland steamer in Alberta, Manitoba and Saskatchewan, Canada.The ship sank on her maiden voyage from Medicine Hat, Alberta to Winnipeg, Manitoba on June 7, 1908. City of Medicine Hat’s rudder was rendered inoperable when it snagged an underwater obstacle and the vessel drifted against a bridge abutment where it capsized under the swift river currents of the South Saskatchewan River. There were no casualties in the sinking and the ship sank into both metaphysical and physical obscurity. 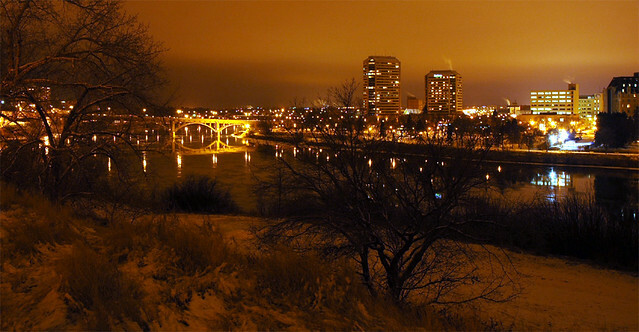 This August, though, a crew working to replace a bridge across the South Saskatchewan River recovered more than 1,000 artifacts from approximately 25 feet below the surface. Archaeologists working with the project believe with substantial certainty that the artifacts belong to the City of Medicine Hat. Miscellaneous artifacts such as an anchor were previously recovered in 2006 and 2008, but this is the first comprehensive recovery of items since initial salvage efforts concluded on the vessel in 1908. While the final disposition of the artifacts is still in question, they most certainly will assist historians in painting a more complete picture of turn of the century riverine life in central Canada. Egyptian news site Bikya News is reporting that the museum which houses Khufu’s (King Cheop’s) solar barge has suffered a sewage leak that potentially threatens the preservation of the thousands year old barge. Buried in 2500 BC, the solar barge was one of two barges buried in a pit at the foot of the Great Pyramid of Giza. Rediscovered in 1954, the barge was reconstructed and an entire museum built to house the magnificent 143 foot long vessel. The barge was most likely built to serve a ritual purpose in the after-life as its design does not lend itself to practical use on the water. The Egyptians were not the only ones to provide their dead with boats or ships for the after-life. The Vikings often buried dead chieftains in enormous burial mounds complete with full-sized ships. Today, three of those ships are preserved in Scandinavia and are open to the public. Three hundred and fifty-two years ago today, the Swedish warship Resande Man sank near Stockholm while en route to Poland. Embarked aboard the Resande Man was Count Karl Kristopher von Schlippenbach who had been dispatched on a diplomatic mission to Poland. Count Schlippenbach was charged with negotiating an alliance with Poland against Russia and the Resande Man was carrying royal treasure to help aid diplomatic discussions. The wreck of Resande Man proved King Solomon’s axiom that there is nothing new under the sun. Swedish legend states that the ship’s captain, much like the Costa Concordia’s Francesco Schettino, was focused on a woman he had taken aboard and thus failed to tend to the proper navigation of the ship. The captain’s negligence led to the Resande Man foundering in a strong storm on November 26, 1660. While 37 onboard perished, 25 were able to make it to dry land. Despite salvage efforts on the ship in 1661, the ship is rumored to still contain a rich cargo. Because of this, she has achieved mythical status in Swedish maritime circles, much akin to the Merchant Royal in Great Britain. Divers believe they have found the ship and conducted several dives on the ship earlier this year. 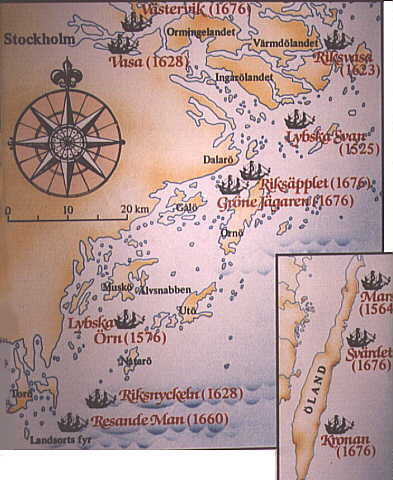 The Resande Man was featured on a map compiled by Anders Franzen (see below), the discoverer of the Vasa, and if the wreck is indeed the Resande Man, then the final wreck on the map has been located. Entering service in December 1890, the SS Robin is the world’s oldest coastal cargo steamer still in existence. Robin spent the first 10 years of her life shuttling between British, Irish and continental ports. In 1900, Robin was sold to Spanish owners, renamed the Maria and spent the next 72 years plying Spanish and French coastal waters. The ship survived the ravages of both World Wars as well as the Spanish Civil War and was destined for the breakers yard in the early 1970s when the Maritime Trust purchased the ship intending to restore her for use as a museum ship. After extensive restoration from 1974-1975 the Robin was placed on display until 1991 when the ship was mothballed. The ship was purchased by the SS Robin Trust in 2002. Beginning in 2008 the Robin was subjected to a multi-million dollar exterior and interior restoration which is now nearing completion. The Robin now resides atop a custom built floating dock reminiscent of a heavy lift ship like the M/V Blue Marlin. The interior of the floating dock will house exhibits detailing Robin’s history as a coastal steamer. SS Robin’s website describes the ship as possessing True Grit for surviving as long as she has. On a slightly related note, Charles Portis, the author of the American novel True Grit resides in Little Rock, Arkansas – the location of last week’s featured museum ship. Even though the Robin won’t be open to visitors until next year, its website extensively documents the ship’s history and provides a 360 degree virtual tour of the area surrounding the vessel.